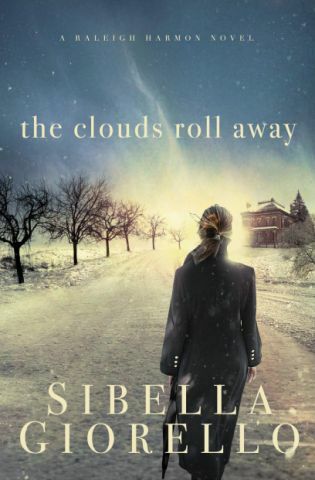 When the announcement came through about a blog tour for The Clouds Roll Away by Sibella Giorello, I got as far as the words "forensic geologist" before I scrolled back up to request to participate. I enjoy a good mystery, Connor plans to go into some branch of forensics (he's leaning towards entomology), and William usually tells me he's considering a career in geology. I had to have this one! I loved the book. Loved it. It was a bit tough to get into right off the bat, but it didn't take too many chapters before I was totally hooked. My favorite aspects? Forensic Geology. Something Connor was reading lately talked about any branch of science being used in forensics. But geology? Not the first thing that comes to my mind when I think about the FBI. Details just felt solid. The author is a geology major, so clearly those details seemed real. But so many other things seemed real as well. There was some gun conversation that rang true, and the place descriptions sure seemed realistic as well. I loved that the main character lived in a flawed family, and everything didn't work out happily ever after. Sure, some stuff did. But not everything. The hate crimes aspect was well-written. A number of points of view are expressed. It isn't preachy. Yet it is clear what Raleigh believes, and Who. Without scads of sermons. Along those lines, a number of denominations are represented, with no claims as to one being right, another being wrong. And I feel comfortable handing the book to my teen. He hasn't decided if he wants to read it or not, but I don't have a problem with it if he does. As far as what I didn't like, well, that list is shorter. It was hard to get into initially, but I mentioned that already. And Raleigh, of course, is described as beautiful, but at least that doesn't come up terribly often. I absolutely will be looking for more from Sibella Giorello. To enter simply click on one of the icons below! Then tell your friends! Winner will be announced January 3, 2011 on Sibella's blog: http://sibellagiorello.blogspot.com/. You might like my name but I happen to adore the name "Footprints in the Butter." Thank you for your thoughtful review -- it made my day.